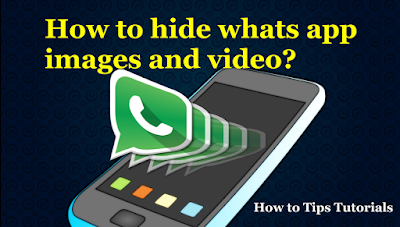 It Bangla Android Tips tips and tricks How to hide whats app images and video without using any app? How to hide whats app images and video without using any app? 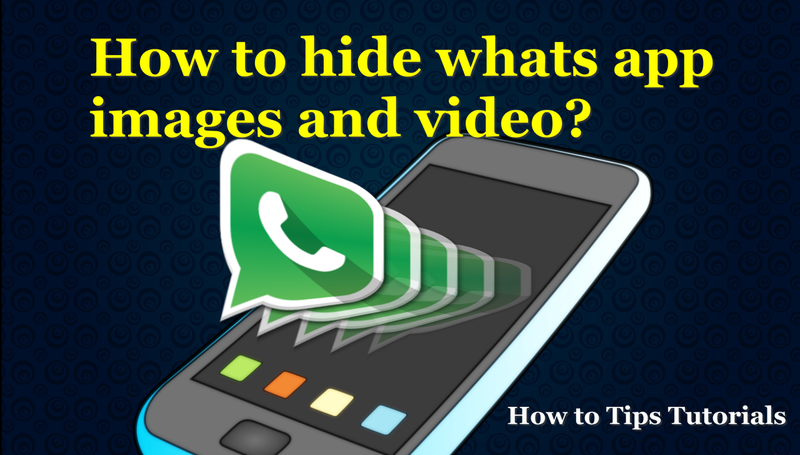 Why we should hide our Whats App images and videos? In my opinion two important reasons are there. First privacy, we have many private things may be some images and videos, why should we share with others. Suppose in our family so many members are there, if you lock the folder with password, they will open the folder because they know your password and you can't ignore them directly. Same thing happened with our friend. The second reason is security, now we send so many things through Whats app. Maybe there is personal documents or images or videos. I think everything is not for everyone. Now the question is how I hide what's app images and videos and other documents without using any software. I will show you one of the easiest process. First go to file manager and open it. There are Phone memory and external memory. What's app images and videos are defaultly save in phone memory. Now go to phone memory and search what's app inages and videos folder. Open phone memory and go to what's app folder and open it. Now open media folder. See all the media files are there like images and videos folder. Open images folder to see what's are there. Now we will hide the images. Select what's app images folder. Go to 3 dot option, tap on it and you will find rename option. Select the option. Put a dot before the name. See what's app images folder is vanish, you can not find the images in the gallary also. Because the folder is in hode mode. Before folder name dot is there that's why it can not be read. In this way you can hide all the important folder and hide video folder in same way. Now the question is how to open it and visible in gallery. Tap on 3dot, it will open option window. Tap on show hidden files. Now you can see the what's app images folder. Go to rename option. Remane the folder. Just remove the dot and tap done option. Now you can see the folder and images in the gallery also. I think this is the very simple process to hide images and videos with folder. Now I will show you another process with ES File explorer. First install ES File explorer from play store if you don't have. Download information is given below. For me it is installed, that's why install option is not there, just install it. You have to search the what's app, or manually open what's app folder. Open the what's app folder and you will find media folder. Now open media folder. You will see images and video folder. Suppose I want to hide what's app video folder. Just open it. You will see all the videos file. Now we are going to hide this folder. Click on top right side corner 3 dot option. You will see the option new. Tap on new option, in new menu there are two opinionss File and Folder. Tap on file option and open it. Now write .nomedia and tap ok. It will be create .nomedia file. Go to top left menu and tap on it. Go down you will see the option show hidden files. Just off the menu. Now you can not see the .nomedia file. And your what's app video folder also vanish, means hide. Let's check once. In this process you can hide pictures, songs, videos etc, any kind of media file you can hide. Now we will learn how to see what's app video after created .nomedia file? Go to left top corner option. And open it. Now go to show hidden files, and on it. You can see the .nomedia file. Select no media file and delete it. No, video folder is not visible in gallary. Then what we will do? Select what's app video folder, and rename it. For example I rename it 120. Now go to the gallery and see. Yea the video folder is visible. I will show you one more trick. How to hide what's app images not folder only single image. Go to what's app images folder, and select 1 image, what you want to hide. Go to right side top corner 3 dot option, open it. It will ask for password. Just set it. Then press ok.
Now the image is locked. No one can open it without password. One more thing no thumbnail will be there. If you want to see the image, then put the password.